This is the definitive guide to one-hundred per cent original and correct Porsche 911 restoration, and covers every inch of each 911 generation in precise, exhaustive detail. Mechanical details, bodywork, interiors, controls, brakes, engines, transmission, lights.. and more! All illustrated with exquisite colour photographs, and in-depth text that covers every inch of this popular car, making this book the last word on the Porsche 911, and a book that no collector, owner, driver, restorers will want to be without. 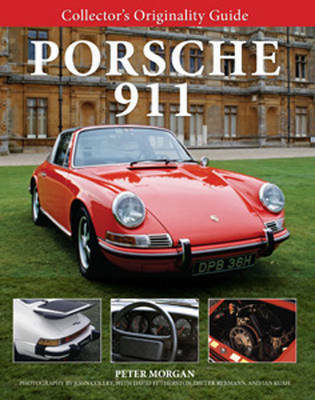 From the 911 Classic, the 911 Turbo of 1974-89, Carrera, 964 Turbo, the 996 911 GT2 being replaced by the Type 997GT2, both air-cooled and water-cooled models, this is a must-have title for any Porsche and performance car fan.